Any other offence under the Criminal Code or various provincial acts? The impact of a criminal record? Learn Zenk we know your rights and can help you exercise them! "I give my clients the time to ensure they are well represented." "If you are arrested - make sure you speak to a qualified lawyer before you speak with the police. Make sure all of your rights are protected by having sound legal advice." Preferred Area of Practice: Criminal Law. read Dil Gosal's article Why is there such a difference between USA Criminal Court Sentences vs Canada's considerably more lenient sentences for similar criminal code convictions? Gary Botting practices law in Greater Vancouver, with preferred areas of practice in criminal law (extradition and wrongful conviction), immigration law (refugee claims), and administrative law (prisoners' rights). 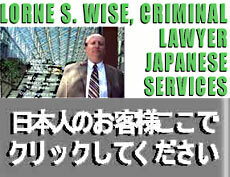 He is the author of 25 books, including Wrongful Conviction in Canadian Law (Toronto: LexisNexis, 2110), Canadian Extradition Law Practice (Toronto: LexisNexis, 2009), Extradition Between Canada and the United States (Ardsley, NY: Transnational, 2005), Chief Smallboy: In Pursuit of Freedom (Calgary: Fifth House, 2005), and Fundamental Freedoms and Jehovah's Witnesses (Calgary: University of Calgary Press, 1993). Beginning his career as a journalist with the South China Morning Post in Hong Kong and the Peterborough Examiner in Ontario, Gary Botting completed his LL.B. at The University of Calgary in 1990 and began practicing law in Victoria, B.C. the following year. He received his LL.M from University of British Columbia in 1999 and Ph.D. in Law in 2004. He spent four years as a visiting scholar at the University of Washington School of Law, and was an original Paetzold Fellow and honorary research associate in U.B.C. 's Faculty of Law before returning to practice full time as an extradition lawyer. Contact Info: Gary Botting, serves the Metro Vancouver Region from Coquitlam, B.C. DOUST, Tom (Thomas) B. LL.B. "...practice of Criminal Law including DUI / DWI, Drug Crimes, Juvenile Crimes, Parole and Probation, Traffic Violations, White Collar Crime." "... will work hard and advocate zealously for You in order to protect Your rights. That dedication is consistent whether it be a speeding ticket or a homicide, a fender-bender or a brain-damage case, a small claims matter or high-stakes corporate litigation." "As lawyers, we are often the voice for the accused, the silenced and the injured. From this, we understand the awesome position that we are in; the position You are in; and from this develops our unfailing conviction and resolve to work with You during these times of strain, to keep You apprised of developments in Your case, and to explain the process to You." Office: #205, 12830 - 80th Ave. Your Lawyer Shouldn't Keep Bankers' Hours! Helps Law Offices is a law firm for the busy professional who values discretion and excellence in their legal counsel. If you're facing criminal charges or civil litigation, you shouldn't have to go through it alone. We have an extraordinary record of results: both in acquittals and monetary awards. "We defend individuals throughout British Columbia on all criminal and drug related charges." "We also represent individuals and corporations who have been charged with violations of Federal and Provincial Statutes and regulations relating to such matters as taxation, securities, environmental, customs seizures, etc. These charges are prosecuted in the same manner as criminal charges and can result in large fines and incarceration in certain cases." "We also represent Lawyers and other professionals, such as Accountants and Stock Brokers, who are facing discipline hearings for alleged professional misconduct by their regulatory bodies. " Home and hospital visits can be arranged for accident victims who are unable to attend for an office consultation. Vancouver, BC - The Legal Services Society (LSS)... " presented awards to Craig D. Sicotte and Jay Upton at a recognition event held February 23 to acknowledge Surrey lawyers' work on behalf of legal aid clients." "These lawyers have combined their finely honed legal skills with their commitment to access to justice to help low income people resolve their legal problems," said Executive Director Mark Benton. "Their dedication is a cornerstone of legal aid, and the society is pleased to show its appreciation for their contributions. The services they provide are representative of the legal aid work done by hundreds of lawyers across BC." [ LSS is an independent, non-profit organization that has provided legal aid to people with low incomes in BC since 1979. Legal representation is available for serious family issues (e.g., involving child apprehension matters or domestic violence) and serious criminal problems. It is also available for some immigration, mental health law, and prison law matters. Legal advice is available at most courts through duty counsel and by telephone through LawLINE 604) 408-2172 (Lower Mainland) or 1-866-577-2525 (BC toll free fr. outside Lower Mainland ...) ... see also web site www.lss.bc.ca. Professional Memberships: British Columbia Bar; and Canadian (Member, Criminal Subsection) Bar Associations; British Columbia Trial Lawyers Association. Moot Court Judge, University of British Columbia Law School. Member: Advisory Committee, Judicial Council of British Columbia; Executive Committee, Women Lawyers Forum Mentoring Project. Supervising Lawyer, Student Community Law Clinic, University of British Columbia, 1992-1994. Author: "Report on the Meeting of the East End Bar Association," The Advocate 63(3), 407-408, 2005. "Punishment in Disguise: Penal Governance and Federal Imprisonment of Women in Canada," by Kelly Hannah-Moffat, The Advocate 60(3), 448-449, 2002. Presenter, British Columbia Trial Lawyers Association, 2005. Offices opening up in Ontario & Alberta coming soon! LOOKING FOR A CRIMINAL DEFENSE LAWYER IN DOWNTOWN VICTORIA, BC? 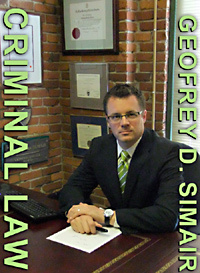 Geof has served criminal defense clients from his offices in the heart of downtown Victoria for over 14 years. Vancouver trial lawyer experienced with representing individuals injured in motor vehicle accidents with a variety of injuries including brain injury, spinal cord injury, chronic pain, psychological injuries and soft tissue injuries. Focus is on ensuring full compensation for all losses suffered. 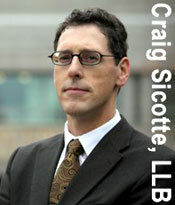 An experienced trial lawyer for ICBC Claims and Personal Injury Claims. Sandra brings over 22 years of trial experience in representing clients suffering personal injuries from e.g. automobile accidents. Combining her trial experience with an extensive background in Labour-Labor Law including a track record in the area of Wrongful Dismissal, she brings a formidable set of skills to the aid of her clients. 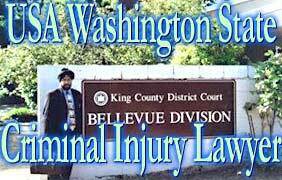 670 - 355 Burrard St.
McCann v. Fraser Regional Correctional Centre, (2000) B.C.J. No. 559 BCSC - 2000 Mar 3 BCJR 47307 - score: 63 approx. 6 pages; Bueger v. Canada (National Parole Board), (2000) B.C.J. No. 97 BCSC - 2000 Jan 18 BCJR 46840 - score: 63 approx. 8 pages; R. v. Mills, (1999) B.C.J. No. 970 BCCA - 1999 Apr 27 BCJR 44458 - score: 63 approx. 4 pages; R. v. Lowe, (1998) B.C.J. No. 737 BCCA - 1998 Mar 11 BCJR 38823 - score: 63 approx. 4 pages; R. v. Mills, (1998) B.C.J. No. 588 BCSC - 1998 Mar 13 BCJR 38658 - score: 63 approx. 26 pages; R. v. Brown, (1995) B.C.J. No. 1030 BCSC - 1995 May 9 BCJR 28203 - score: 63 approx. 3 pages; R. v. Parinas (B.C.C.A. ), (1993) B.C.J. No. 2465 BCCA - 1993 Dec 1 BCJR 23377 - score: 63 approx. 8 pages; Chiu v. Canada (National Parole Board), (2005) F.C.J. No. 1899 CAFC - 2005 Nov 8 FCJR 143071 - score: 63 approx. 4 pages; Borglund v. Canada, (2003) F.C.J. No. 1215 CAFC - 2003 Aug 5 FCJR 26451 - score: 63 approx. 3 pages; Lena v. Kent Institution, (2003) F.C.J. No. 221 CAFCTD(1reInst) - 2003 Feb 11 FCJR 25446 - score: 63 approx. 5 pages; Dupras v. Kent Institution, (2002) F.C.J. No. 962 CAFCA - 2002 Jun 25 FCJR 24303 - score: 63 approx. 2 pages; Dupras v. Kent Institution, (2001) F.C.J. No. 968 CAFCTD(1reInst) - 2001 Jun 12 FCJR 22239 - score: 63 approx. 8 pages; Woo v. Canada (National Parole Board), (1998) F.C.J. No. 1248 CAFCTD(1reInst) - 1998 Aug 31 FCJR 16446 - score: 63 approx. 5 pages; McLarty v. Canada, (1997) F.C.J. No. 808 CAFCTD(1reInst) - 1997 Jun 10 FCJR 13068 - score: 63 approx. 5 pages. Practice Areas: Criminal Defence; Prison Law; Human and Civil Rights; Trial and Appellate Practice; Commercial Crime; Extradition; Administrative Law; Constitutional Law; Statutory Offences; White Collar Crime.